Due to the graphic nature of the content, reader discretion is advised. 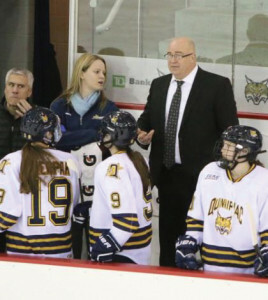 The most recent memorandum filed on April 3 in former Quinnipiac women’s ice hockey head coach Rick Seeley’s lawsuit against Quinnipiac and David Bills revealed that players at the school reported abusive behavior by Seeley as early as the 2009 season. Yet, the school extended Seeley’s contract three times after 2009. Former Athletic Director Jack McDonald denied knowledge of abuse allegations despite multiple examples cited in athlete surveys. Seeley coached at Quinnipiac from 2008-2015 and, according to the memorandum filed in the New Haven Judicial District Court, the University investigated an incident in which he grabbed one of his players at a game against Harvard on March 14, 2015. Seeley replied to Bills’ special defenses on April 13 and denied all allegations made against him. Seeley’s lawsuit against David Bills will be going to trial on July 18. Following the investigation, the University “decided that it would be best to separate you (Seeley) from employment,” it said in a letter to Seeley dated April 9, 2015, signed by former Vice President of Human Resources Ron Mason. Yet, the surveys, dating back to 2009, paint a different picture. In the QBSN article McDonald said that the athletes fill out the surveys and said that there were no problems up until the 2013-2014 season. In an email to Q30 Television, McDonald said he would not comment on the memorandum or anything pertaining to it. Associate Vice President of Public Relations John Morgan told Q30 that the university will not comment on ongoing legal matters. One player recommended a team psychologist. In the 2012-2013 surveys, the alleged abuse continued and got worse. NCAA rules allow athletes to participate athletic related activities (practice, watching video, lifting, etc.) for 20 hours a week. The 2013-2014 surveys contain allegations of verbal and physical abuse yet again. “Players cited more NCAA violations, commented on Seeley’s anger issues and use of fear, and indicated he (Seeley) ‘probably shouldn’t aim a slapshot at a player that did something wrong in practice,’” the motion read. Throughout the memorandum, players allege that Seeley physically and verbally abused former star forward Kelly Babstock during her time on the team. Babstock played from 2010-2014. The program’s all-time leading scorer, she is regarded by many as the greatest player in Quinnipiac women’s ice hockey history. The memorandum notes that Cassandra Turner, current head coach and assistant under Seeley, said that Seeley has had problems with his best players and feels threatened by them. Players’ allegations of abuse ticked up noticeably in the 2014-2015 surveys — the most controversial incident occurring at the Harvard game. The memorandum contains multiple accounts of what allegedly happened at the Harvard game between Seeley and T.T. Cianfarano, then a freshman forward. The responses below do not mention Cianfarano as the player directly involved, but she is identified as such in Exhibit J. In 2015, the Bobcats program reached a milestone: the NCAA tournament. 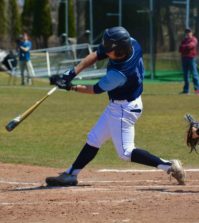 But a 5-0 loss to conference-rival Harvard proved to be not just the end of the season, but a tipping point when assistant coach Turner reported an explosive incident to McDonald. Turner reported this incident “because she (Turner) was afraid Quinnipiac would be sued,” according to the motion. According to the memorandum, senior women’s ice hockey captain Morgan Fritz-Ward requested a meeting with Senior Associate Athletic Director Bill Mecca 10 days after the Harvard game. In the meeting, Fritz-Ward told Mecca about the incident at Harvard along with other instances of verbal and physical abuse by Seeley in her time at Quinnipiac (2011-2015). According to Mecca’s notes in Exhibit J, Fritz-Ward said that Seeley made comments to players about matters including but not limited to slicing their wrists after losses, belittling players using the “f” word, Seeley threatening to take scholarships and playing time away if players ratted him out. Mecca did not return a phone call from Q30. Administrators, including McDonald, conducted several more meetings with players, and more allegations arose. In a meeting with athletic administrators including McDonald, Fritz-Ward discussed Seeley’s alleged use of the “n” word when telling the team to lower music in the locker room. In another meeting between athletic administrators and several members of the women’s ice hockey team, other members of the team verified Seeley’s alleged use of the “n” word. In a meeting with senior human resource business partner, Lori Musante, Turner said that she did not hear the alleged comment about the music. Assistant head coach, at the time, Paul Nemetz-Carlson said that he did hear Seeley tell players to turn music down, but there was no mention of a racial slur. In a meeting between athletic administrators and Fritz-Ward, she alleges that Seeley grabbed Babstock, pulled her off the bench, and sent her to the locker room. When asked by administration why they had not reported any of these allegations of abuse earlier, the players said that they were scared Seeley would take away their scholarships and playing time. Some players were even scared to attend the meetings with athletic administrators. Seeley is suing Bills for defamation after Bills sent Q30 notes two years ago alleging Seeley abused players at Clarkson, including his daughter Cortney who was on the team. Q30 published those notes about a week after Seeley’s termination. Yet, Bills’ story to Q30 bears striking resemblance to what Bobcats players reported in their surveys. 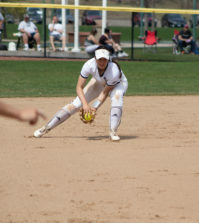 In the memorandum, Cortney and her former teammate at Clarkson, Jill Nolan, signed affidavits saying under oath that Seeley allegedly verbally and physically abused them and their teammates at Clarkson. 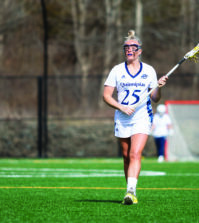 The affidavits outline alleged behavior similar to alleged situations described by Quinnipiac women’s ice hockey players in the surveys. Quinnipiac: Throughout the memorandum, Quinnipiac players allege that Seeley cursed at them, again using mostly the “f” word. Quinnipiac: There are multiple references in the memorandum to the Babstock and Cianfarano incidents. 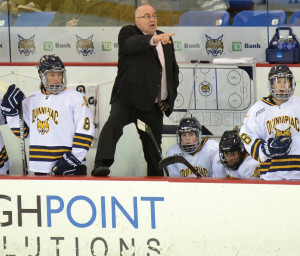 Quinnipiac: In the 2009-2010 survey, one player alleged that the team’s success, “comes at the expense of emotional distress and verbal neglect. Consideration should be given to provide a more balanced atmosphere.” Another player suggested the team hire a psychologist.